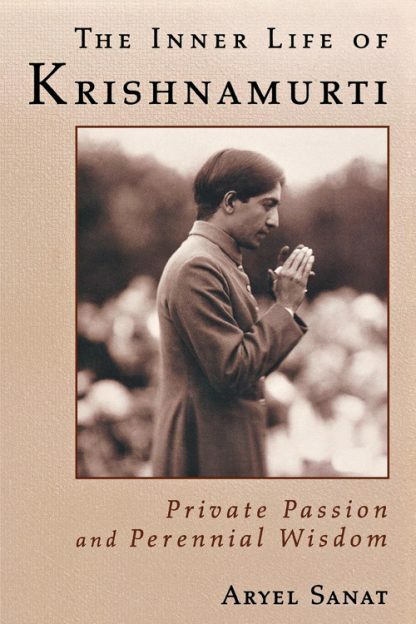 Aryel Sanat's meticulously researched and cogently argued exploration of Krishnamurti's inner life and experiences explodes a number of popular myths about Krishnamurti, particularly that he denied the existence of the Theosophical Masters and disdained the esoteric side of the spiritual path. Rather, Sanat persuasively demonstrates, Krishnamurti had a rich and intense esoteric life. Moreover, the truths of the Ancient Wisdom, as revealed through the Masters, were a reality to Krishnamurti every day of his life, from his boyhood until his death. The real story of Krishnamurti's inner life is shown to have critical implications for our understanding of Krishnamurti's life and ideas and for our views of Theosophy, Buddhism, the teachings of Gurdjieff---indeed, the entirety of contemporary spiritual thought.